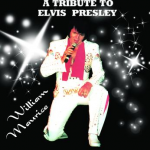 Elvis Tribute Artists | AM/FM – 50s & 60s Rock & Roll – Cornwall, Ont. In addition to our own show as a dance band, AM/FM is privileged to work with several very talented “Elvis Tribute Artists”. When schedules and venues permit, we are pleased to add the “live backup band sound” to these tributes to the King. If you are an ETA looking for a first-class backup band (including vocals), we would be glad to discuss any opportunity to work together in the Eastern Ontario/Western Quebec area. 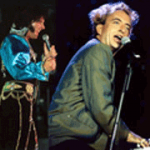 Click here to open a list of Elvis songs we are currently performing.